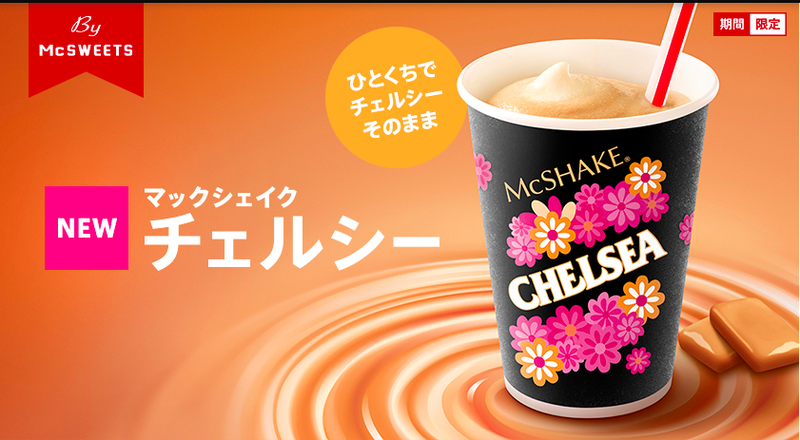 McDonald's Japan launched a new limited time menu, McShake Chelsea today, September 13, 2017. 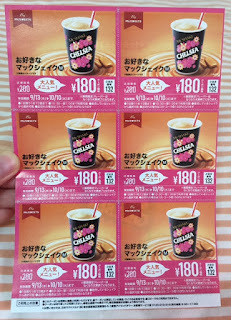 Chelsea is a butterscotch candy produced by Meiji, and it's a long-selling item since 1971, when McDonald's first branch in Japan was opened and started selling McShake. 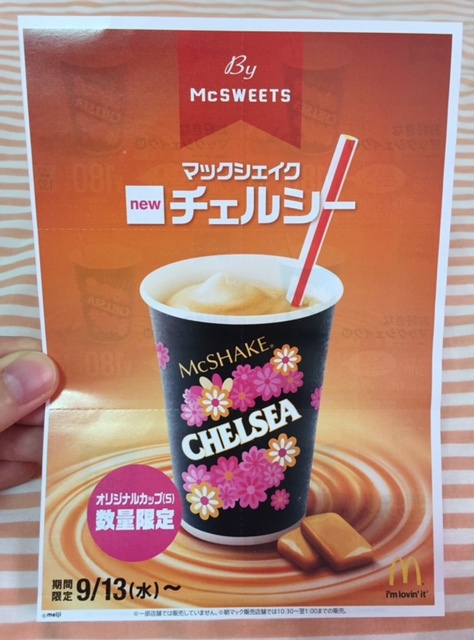 They use a syrup that has Chelsea Butterscotch, which is made from simmered fermented butter to deliver rich and deep flavor, and this McShake is described as if "drinkable Chelsea." 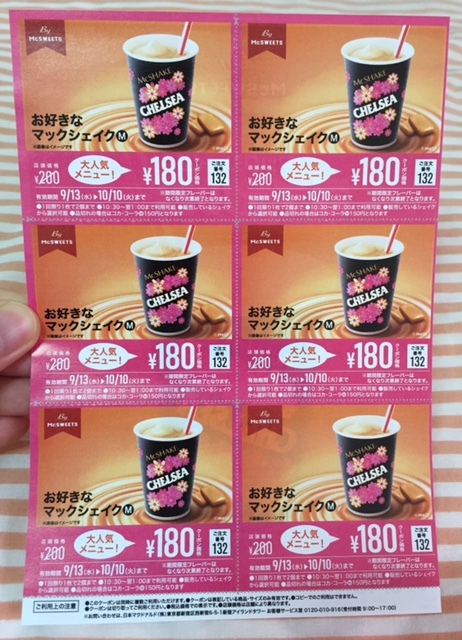 This morning, there's a coupon between newspaper for the McShale Chelsea, but it's only for medium size while the special cup with Chelsea logo and the well-known flower motifs are only for small size for a limited quantity, so I didn't the coupon to get the cute cup. I got around 10:40 AM and ordered a small McShake Chelsea, and fortunately I could get the cup shown in the advertisement. 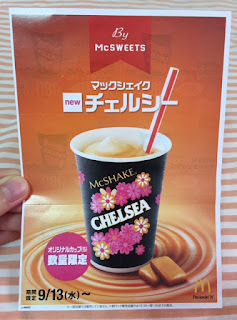 McShake Chelsea cup with CM song. Chelsea is a caramel colored candy, and I thought it'd be closer to beige, but when I removed the lid, it's almost white with some beige and white spots. It had sweet scent and subtle Chelsea flavor, but it's much lighter and not too sweet. However, it's too weak to say, "drinkable Chelsea."